MEET OUR BEAUTIFUL SYLVIE BRIDE: KILEY R.
Ben and I have been together for about a year and a half. From our first date, we felt very strongly about each other. With being long distance, it required us to really put extra effort into our relationship, and it has grown into something so great. He is my best friend above all, and I can’t wait to share my life with him. We were at an engagement party for some of our friends. 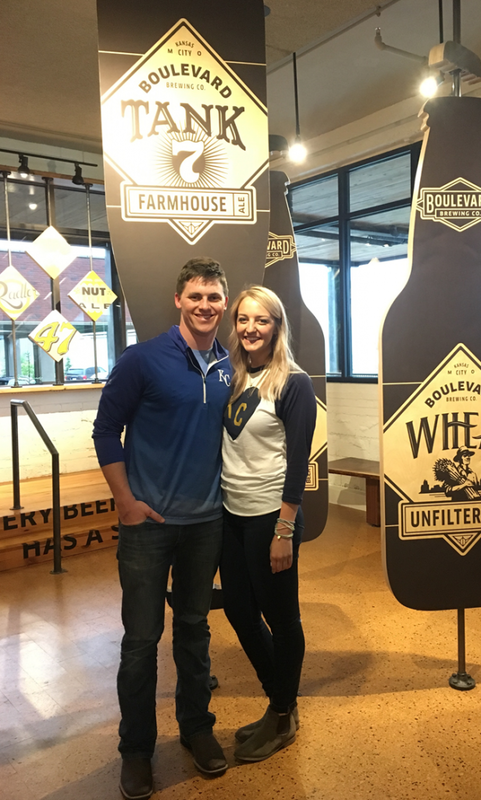 We had both known the couple, but had never met each other prior to their engagement party. We started chatting toward the end of the night, and Ben asked for my phone number. We went on our first date two days later, and ended up spending 5 hours together chatting, eating lunch, and walking around the park. We both knew from the first date that we had something special! What is your favorite “courtship story”? The moment where you knew you would be together forever? 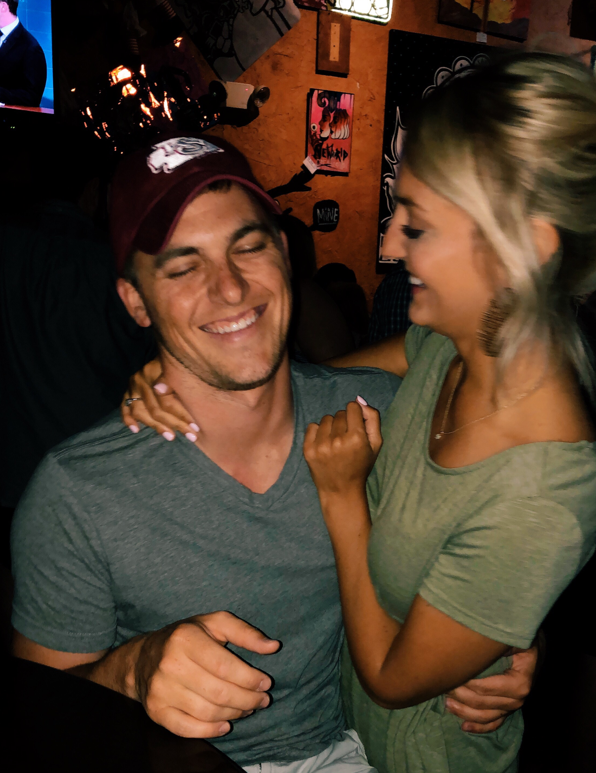 It is hard to say a specific moment when I knew Ben would be the one because there have been so many wonderful memories made. If I had to pick just one moment, it would probably be the first time we made dinner together. We were playing music, dancing, laughing, and enjoying each other’s company. I knew we meshed so well, and that I was truly falling in love with this man. He is truly the most generous, thoughtful, and kind-hearted person I have ever met. I am so lucky to love Him and be loved by him. 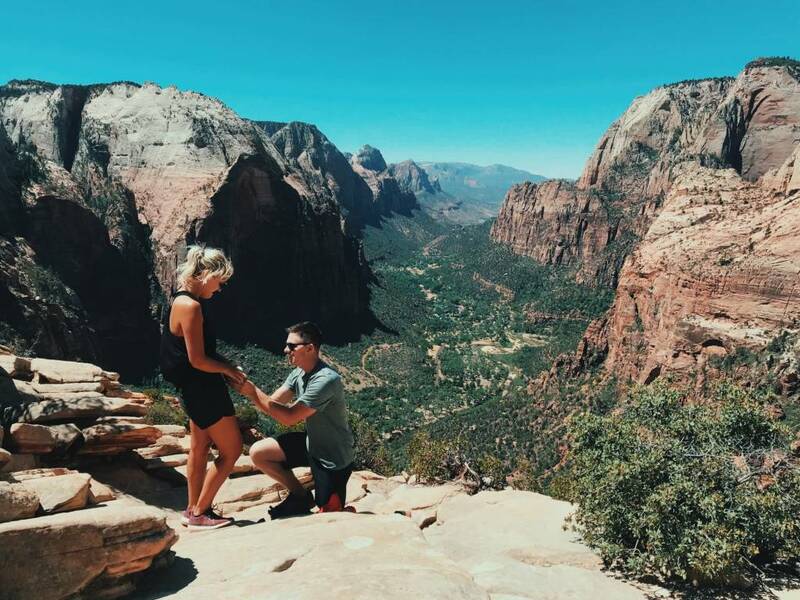 We drove 16 hours to visit Zion National Park in Utah and we were both really excited about hiking to “Angel’s Landing.” I had done the hike previously, but this was Ben’s first time. It is a very strenuous hike, with steep drop offs, so getting to the top was an accomplishment in itself. We sat together for a while at the top and I suggested that we ask someone to take a picture of us. Ben asked another couple to take our picture and in that moment he dropped to one knee and asked me to spend the rest of my life with him! To which I replied with a definite yes! It was truly the best day! From the minute we saw the vintage style of Sylvie rings, we were smitten. When we went to look at them in person, our opinions of specific ring changed slightly, but we were always set on Sylvie! We ended up choosing a round diamond with a Sylvie band that had some vintage touch and we both could not be happier with it! 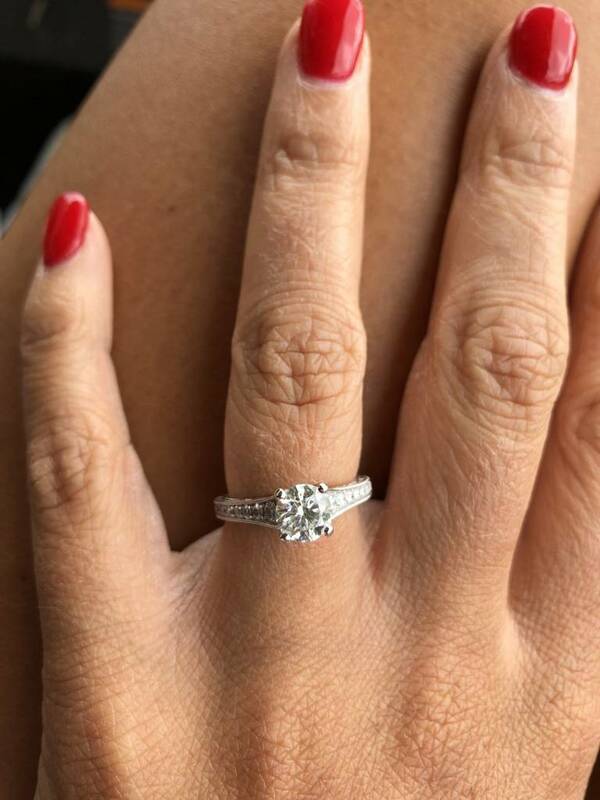 SY886 – Desirae : We chose this ring because it was truly everything we loved in an engagement ring. It had a solitaire round diamond with engraving and milgrain that gave it a vintage feel. It’s perfect! Ben purchased the ring at Joseph’s Jewelers in Des Moines, IA. What do you love most about your Sylvie Collection ring ? The ring is absolutely gorgeous and I couldn’t ask for anything better, but my favorite thing about it is the man who gave it to me. We see our Sylvie Brides as “ Yes” girls. What do you say “yes” to in life? I say yes to adventure, travel, love, and opportunity. I find passion in my career as an occupational therapist, and love helping others live their best life by saying “yes” also! Ben is always my best supporter to whatever I say “yes” to! FOR THE GUYS/PROPOSER: What do you love most about your Sylvie Bride? My favorite thing about my girl is the care she shows for other people, whether that be myself, family, friends, or even a stranger. I know that she would do anything for me and not ask for anything in return and I can’t thank her enough for that. I love her more than anything. 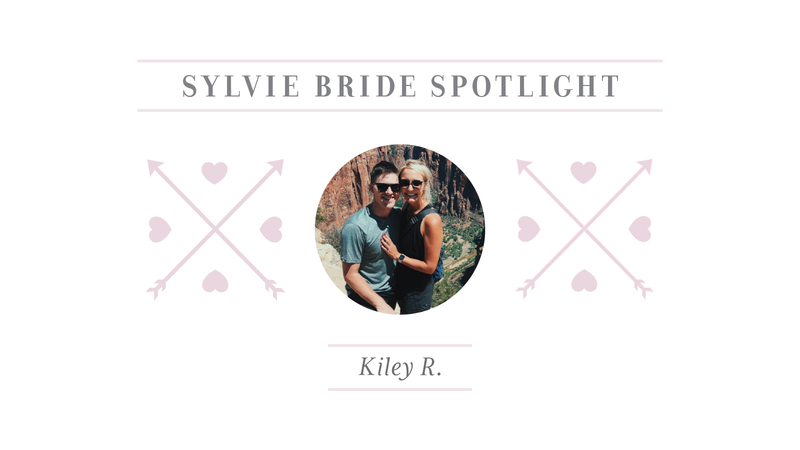 Sylvie Bride Spotlight: Mallory L.